ROBERT BROWNE is a Partner at McKeever Solicitors, qualified as a solicitor in 1990. He is a Fellow of the Chartered Institute of Arbitrators and also a Notary Public. 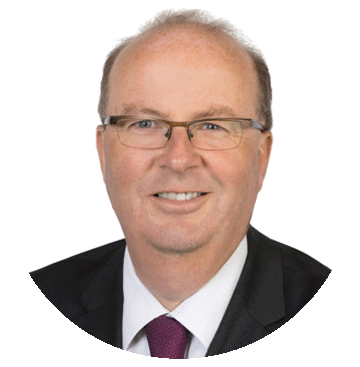 He is currently Joint Chairperson of the British Irish Commercial Bar Association (www.bicba.com). He is a fluent French speaker and works through French and advises French clients through the language and Irish clients on aspects of French property law. He advises extensively on all aspects of Injunctions, Commercial, Financial Services and Insurance Litigation, Partnership Law, Employers’ and Public Liability Defence Claims, Invoice Discounting litigation, Corporate and Private Client Litigation. As a Tax Appeals Lawyer, he is also regularly before the Tax Appeals Commissioners defending Revenue claims for taxes including CGT. In recent times he has been litigating Hedge Fund losses, defending a multi-million euro claim. He has extensive expertise in obtaining and defending injunctions for companies and individuals in the areas of employment law, trespass, banking and asset tracing. He has the experience and knowledge to be able to react immediately to the urgency of a situation and to know when an injunction is the appropriate remedy. He has litigated regularly and extensively in the area of repudiation of Insurance Contracts where insurers refuse or fail to pay out valid claims made by policy holders. He also has extensive experience in receivership, insolvency and asset recovery matters. He appears regularly in the Commercial Court. He advises on all aspects of debt recovery and enforcement of judgements, including entitlement to recover mortgaged properties and where parties have attempted to put assets beyond reach of creditors or dissipated assets with a view to avoiding their liabilities. He has extensive experience in prosecuting and defending professional negligence claims, product liability, public liability and motor insurance claims. One key area which he is currently focused on is the insurance policy excess of Defendant companies whose insurers manage their claims. Such companies rarely get a say in how their claims are dealt with despite being responsible for the policy excess, anywhere from €10,000 upwards.